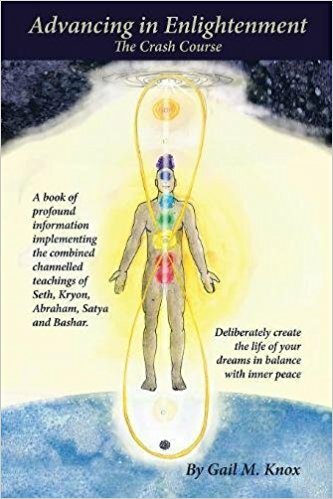 “Advancing in Enlightenment: The Crash Course” explores the author’s 44-years-worth of metaphysical study and the teachings of Seth, Kyron, Abraham, Satya, and Bashar. This book encapsulates and delivers a thorough exploration of the author’s knowledge and insights in guiding readers to learn the physical reality that surrounds one’s existence in order to find their own spiritual growth and improvement. “Advancing in Enlightenment” wonderfully promotes and guides spiritual awakening and growth among readers to help them move forward with more positivity and hope for the future. The book spans seven simple but masterfully-written chapters that really encapsulates and delivers a thorough exploration of the author’s knowledge and insights in guiding readers to learn the physical reality that surrounds one’s existence in order to find their own spiritual growth and improvement. Her writing dives deeper into complex topics such as light and dark energy, death, and metaphysics. She also taps on her own expertise to articulate how modern culture is more in favor of material things and ignores their spiritual well-being. Not only that, she effectively discusses materials from both ancient and modern teachings for it to be easily understood and embraced by the average reader. The author recently made the rounds with appearances on different media platforms. Not only was she featured in the October 15,2018 edition of the Publishers Weekly magazine but she also had a radio interview with radio host Ric Bratton on his iconic radio program This Week in America. 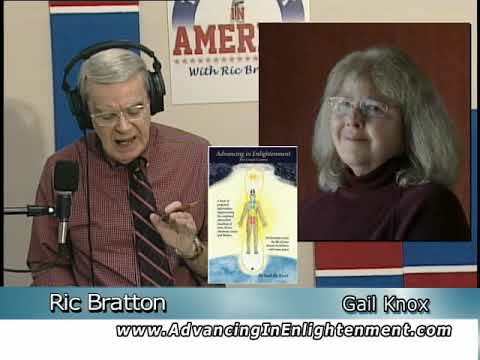 Readers can access the interview on YouTube (https://www.youtube.com/watch?v=Ocm-YWK_bc4), iTunes (https://itunes.apple.com/us/podcast/this-week-in-america-ric-bratton/id725684127), Podomatic (https://www.podomatic.com/podcasts/thisweek1/episodes/2019-01-03T16_26_54-08_00), and Blue Funk Broadcasting (http://www.bluefunkbroadcasting.com/root/twia/gknox.mp3). She is also scheduled to have “Advancing in Enlightenment” displayed at the upcoming 2019 Los Angeles Times Festival of Books on April 13-14, 2019. With thousands of expected attendees, this much-anticipated literary celebration is a perfect opportunity for this book to reach out to a wider audience. Gail M. Knox was born in Chicago, IL in 1955, living mostly in the suburbs and currently lives in Richmond, IL. She began her spiritual journey when given The Seth Material, A Seth Book in 1970 at age 14. As a Law of Attraction coach, Gail holds both the Basic and Advanced Certifications from The Global Sciences Foundation.